DPS provided full multidisciplinary A/E design for a new, 32,000 sq. ft. biopharmaceutical facility. The greenfield facility in Dartmouth MA, is the anchor tenant of a planned 300-acre biotechnology park. DPS provided full multidisciplinary A/E design for a new, 32,000 sq. ft. biopharmaceutical facility. The greenfield facility in Dartmouth MA, is the anchor tenant of a planned 300-acre biotechnology park. 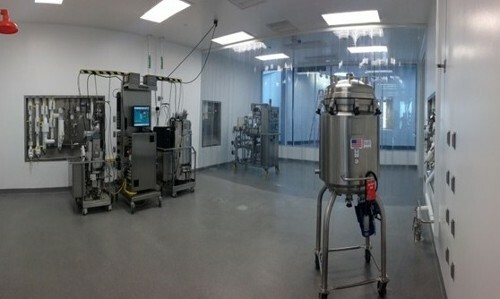 This facility is dedicated to serving the Biopharmaceutical industry’s needs for large-scale process confirmation, full scale applied research experiments and workforce hands-on education in a “real size” manufacturing facility, under GLP (Good Laboratory Practice) guidelines and practices. Laboratory Management Systems will integrate the islands of automation provided with the various process equipment and systems. The facility has isolated Process Suites for Mammalian and Bacterial Fermentation, Purifications and Bulk Filling capabilities. The facility is being designed with the flexibility to allow process operations using fixed-in-place vessels, roller bottle rack, disposable and/ or single use or Wave type reactors. The facility achieved LEED certification and was validated under the ASTM E-2500 verification regime.